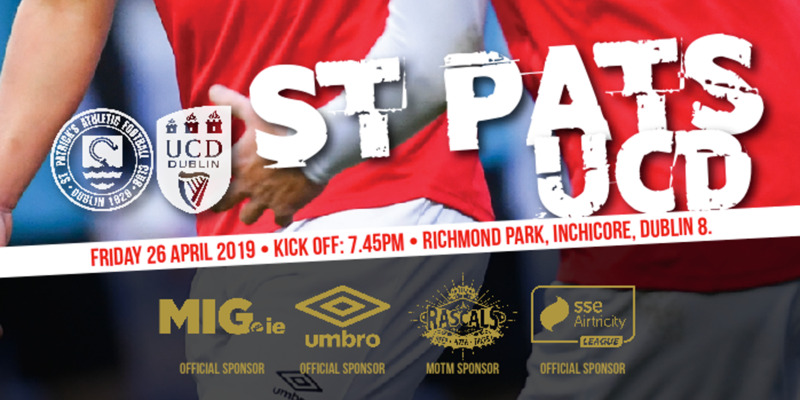 Dundalk's blistering run of form continued in style at Richmond Park as Daryl Horgan scored both goals in his side's SSE Airtricity League Premier Division victory over St Patrick's Athletic. The 22-year-old put the reigning champions ahead in the 29th minute when he latched on to David McMillan's through ball to place the ball past Brendan Clarke. The Saints were left with an uphill task when Kenny Browne was dismissed in the 36th minute for a second bookable offence. Horgan finished the job in the 61st minute, putting the seal on a delightful move to leave the 2013 league champions a massive 16 points behind Stephen Kenny's pacesetters with the season not even at the midway point. Pat's were given a huge boost before the game when Christy Fagan and Greg Bolger declared themselves fit. Fagan scored the winner in the corresponding fixture last September; that occasion marking the last time Dundalk have tasted defeat, some 25 games ago. The champions arrived on the back of six straight wins in all competitions. 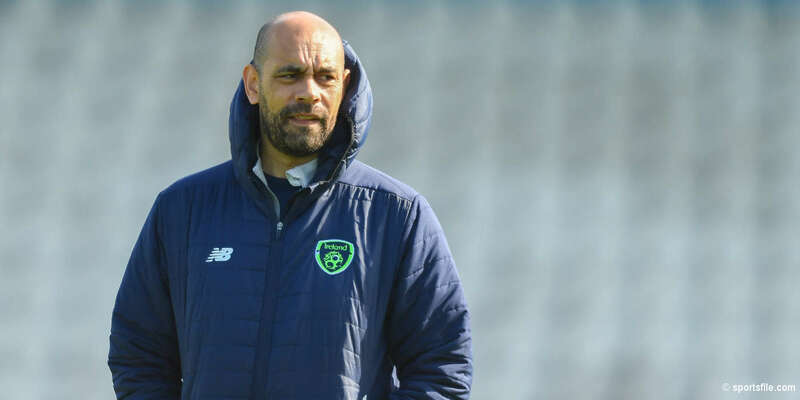 Unsurprisingly, changes were kept to a minimum with John Mountney, scorer of the winner against Derry City seven days earlier, replacing Darren Meenan. The first half was a wonderful advert for the SSE Airtricity League as both sides went toe to toe on a beautiful summer evening. Dundalk were the first to test the Pat's defence, with Richie Towell heading wide from a Daryl Horgan corner inside the first minute. Fagan then saw a 25-yard drive deflected wide by Andy Boyle after receiving an invite to shoot from the retreating Dundalk back four. Browne headed the resulting corner over the top. Browne was left flagging for the first time in the 10th minute when he contested a footrace with John Mountney on the right. It looked like the Pat's defender had done his job but Mountney regained possession, his cross headed wide by David McMillan. The end to end football continued with Aaron Greene, deployed alongside Fagan in a front two, seeing a vicious drive beaten away by Rogers for a corner. From then on it was the visitors who took control and they almost opened the scoring with a fantastic piece of football in the 17th minute. Towell left Browne for dead on the right again before picking out McMillan on the far side of the box. The former Pat's striker laid the ball up for Horgan to volley first time but Brendan Clarke was on hand to make a great save. From the corner, McMillan's header was hacked off the Pat's line as the home side struggled to keep the ball out. McMillan threatened again nine minutes later. Horgan was the architect, weaving his way down the left before slipping his team-mate in but McMillan's shot drifted well wide. The visiting fans could sense a breakthrough and it duly arrived in the 29th minute. Mountney, despite coming in for some rough attention from Browne, fed McMillan in the centre and turned provider for Horgan, who made no mistake with his sixth goal of the season. Dundalk continued to flood forward and Dane Massey left James Chambers in his wake on the left with his low drive across the face of goal just evading Ronan Finn's toe. Browne's night went from bad to worse in the 37th minute. Booked for the attempted tackle on Mountney in the build-up to the goal, he was shown a second yellow by referee Neil Doyle for trying to pull Towell back after being left on the floor again. 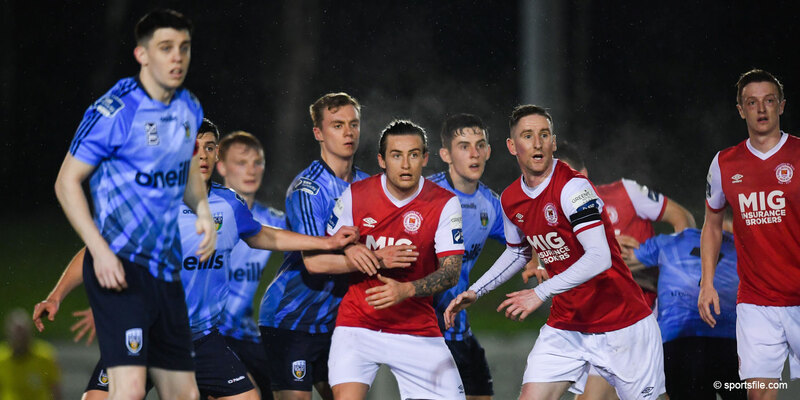 Liam Buckley reacted by introducing Jason McGuinness for Chris Forrester, leaving Fagan to lead the line in his own, but the Pat's hitman almost profited from a slip by Gary Rogers in the 42nd minute, but for Andy Boyle coming to his goalkeeper's aid. The half ended with Dundalk on the front foot again. Paddy Barrett opened the Pat's back four up again but Horgan, from a similar position to where he scored his goal, saw this attempt saved by Clarke. The feeling was that Pat's would need a quick reprieve in the second half and Rogers had to get down to save from Fagan again in the 51st minute. Horgan took centre stage again after that, stinging the palms of Brendan Clarke before shooting over just seconds after more good play by Massey on the left. The former Cork City star made no mistake in the 62nd minute, driving home from 20 yards to put the cap on another well worked passage of play involving Finn and Massey. Knowing that their title hopes were going up in smoke, Pat's rarely looked like forcing their way back into things, with Andy Boyle denying Conan Byrne in the 69th minute. They showed some signs of life in the 82nd minute when young substitute Jamie McGrath ran at the Dundalk back four and set up Greene, who was denied by Rogers. The former Pat's goalkeeper then turned a McGuinness header over the top but the game petered out, leaving Dundalk sitting clear at the top.